Yesterday I came across a song that truly inspied me. I could not find whether the reference to premature birth is to Reba Mcentire’s own life, but it does resonate with me. I was, after all, born three months too early. Often, survivorship refers to people who have endured childhood or domestic abuse, have survived serious illnesses like cancer, or stuff like natural disasters. Babies are too young to remember the hurdles they overcome as they survive the neonatal intensive care unit, but that doesn’t mean they aren’t survivors nonetheless. Preemies beat the odds, after all. I remember when someone asked me what experience I was proudest of overcoming, I responded that it was premature birth, because without having overcome that experience, I wouldn’t be alive. Even my suicidal crisis in 2007 doesn’t compare to this, as I was not physically close to death then. I am very happy to finally have found a song about a woman born too early. I know I got a CD for my birthday with songs on it about a boy with a birth defect, but these are written from the father’s perspective. It is hard to find former preemies even on large social networking sites like Facebook – I created a group for them and no-one except for the friends I added would join. There is a group on Yahoo, but it isn’t active at all. By listening to this song, I feel validated that prematurity was something I have survived, yet also encouraged to move beyond mere survivorship. There is not much known about the effects of premature birth on the surviving children. Well, it is known that many develop autism and related conditions, but I mean stuff like attachment disorder. There is a lot more research on the traumatic effects on the parents of preemies. This frustrates me. I know that trauma before the age of three is hardly taken seriously, because a child is too young to remember it and those who claim to remember, are often accused of faking. I agree that memories before age three are rare, but that doesn’t mean that experiences from very early life can’t affect attachment and later personality development. The important message in this song is however to be proud of your survivor status and to move on and reclaim yur life. I try to do that and am totally happy with this new music find. 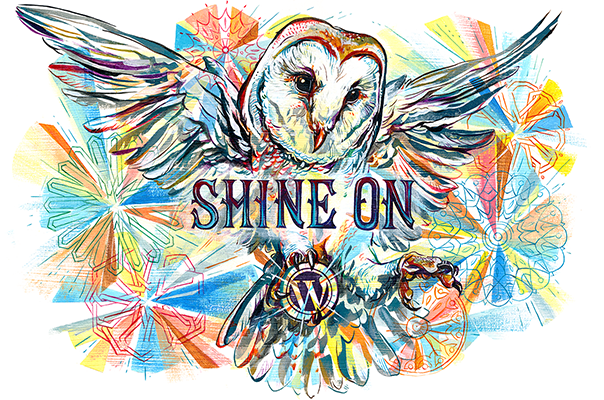 Linking up with Motivation Monday, Inspire Me Monday, and Wellbeing Wednesday. I was at my parents’ for the week-end. When I called them last week Monday to say I wanted to come over, my parents invited me right the same week so I could see Sarah McQuaid in Steendam, a town in the province of Groningen in the Netherlands, on Friday. I had heard some of Sarah’s music, but had never attended a concert. We drove from my parents’ town to Steendam, on our way picking up one of my parents’ friends. We arrived a little early at Peter and Lenie’s, the restaurant where the concert was taking place. We got seated and Sarah arrived. Peter introduced her and Sarah welcomed the audience, specifically mentioning my parents. As I was looking at her website, I found out my father had taken many pictures at previous concerts, and he was photographing again. 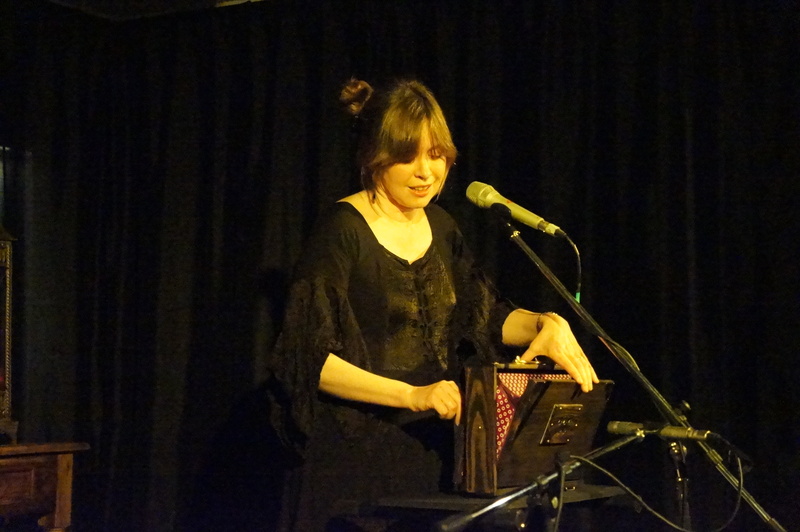 Sarah McQuaid playing the shruti box. Photo credit: Frans van Woerkom. Sarah McQuaid sings mostly folk songs and songs in this style she’s written herself. I was impressed at her interpretation of traditionals, one of which dates from the thirteenth century. If I remember correctly, this was the song she played on the shruti box, an Indian instrument similar to a harmonium (see picture above). I also particularly liked one of her songs, In Derby Catherdral, in which she was singing in a loop. Martin Stansbury should be honored here too, as he was working the loop on his laptop. The video below shows Sarah singing this song at a concert in 2011. Sarah will be touring the Netherlands, Belgium and Germany until April 6. Check her website for details. She has already announced she’ll be back at Peter and Lenie’s next year.